"As long as we can get a dog sitter," Grainne said, "we'll both be there." Long gone are the Thursday evenings of nosing and swishing beers, casting a squinted eye towards a backlit glass to check for legs, sediment and hue. In the late years of the last decade (circa 2007 onward, though as my memory is a little hazy I am sure I will be corrected by nuts wiser than mine about the specifics) we would meet monthly in the darkened upstairs hall of the Bull and Castle. We were there to share not only genius works of home brewing skill but opinions, beers, stories, plans and most importantly our passion for great beer. This is where I first met Grainne and Tim and where I first talked to them about the brewery that had no name at the time, and would eventually become Metalman. There was no talk of a dog then. There was however an unerring vision for how the brewery would hold itself in the market. In 2011 they took the plunge, with head brewer Grainne leaving her I.T. job to embark upon her great brewing journey, while Tim held down his day job for a couple more years, before joining the brewery full-time. They stand as proudly for quality and ingenuity now as they did the day the first barrel was cracked in L Mulligan Grocer all those years ago, surrounded by former Amazon colleagues and future devotees. We are proud to have them come back to us this Sunday, bringing with them their good friends from Left Hand Brewery, Colorado. For those that aren’t familiar with Left Hand Brewery, they too are a remarkable brewery. Their record for charitable donations stretches into the millions, awards in the hundreds and they list their employees as co-owners. All of this is secondary to their beer, most notably in Ireland the Milk Stout Nitro. We will be pairing Left Hand and Metalman beers with dishes designed around some limited edition brews this Sunday. 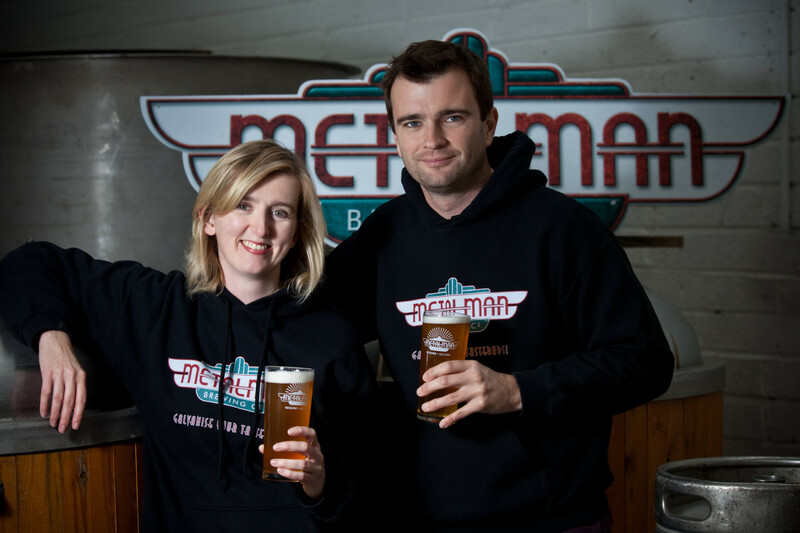 You will hear Grainne and Tim from Metalman and Chris and Sharona from Left Hand talk dogs, cans and beers joined by myself and Seáneen chatting through the food pairings.